Bungie is gearing up to make what sounds like a big Destiny 2 announcement ahead of E3 2018. 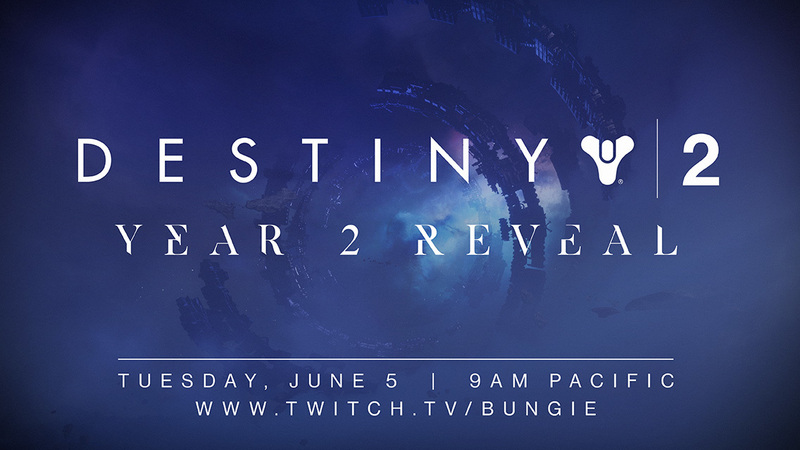 The studio announced today that its Year 2 livestream will take place on Tuesday, June 5. The stream, which you’ll be able to watch on Twitch and here on GameSpot, begins at 9 AM PT / 12 PM ET. The reveal event is just the beginning, as Bungie says it is only the “beginning of a conversation that will last all summer long.” We’re expecting to see and hear more about Destiny 2 Year 2 content at E3 2018. Following Warmind, Destiny 2’s next big expansion is coming this fall. It will introduce an “incredibly engaging new mode,” according to publisher Activision. Tagged Coming, Here's, Livestream, Next, Reveal, Watch, Week, Year, ‘Destiny’. « Should there be multiple starting areas? House of Horrors – Companion Crates And Bloodthirsty Zombies In Deadlight!